Owning a car is a huge responsibility. In order to keep yours in tip-top shape, your car needs to be properly maintained so that it lasts for many years without any serious problems. Preventive maintenance can help ensure your car stays in great condition throughout the years, but the maintenance can be costly all on your own. If you want your car to stay in pristine condition and your money to stay in your pockets, consider these five tips for keeping your car in great shape for years to come. This is often the most overlooked step in car maintenance, but your owner’s manual can provide a wealth of information about your car’s maintenance schedule, says Lifehacker. You’ll know exactly how often to change your oil (hint: it’s a myth that you need to change your oil every 3,000 miles), how often you should change filters, drive on timing belts, what kind of gas you should be putting in your car and more. Your manual is your key to caring for your car, so don’t just shove it into the glove box and never look at it again. Read it so you know the best ways to care for your car, because it can vary widely from vehicle to vehicle. Checking your fluid levels regularly can help ensure your car is fully replenished with all it needs to function properly. Adding and monitoring fluids like brake fluid, windshield washer fluid, engine oil, anti-freeze, power steering fluid and transmission fluid can help it operate at optimum levels. You can check your vehicle’s oil by pulling out the dipstick to check the color and level. If it’s below the line marked “low,” you know it’s time to add and/or change your oil. If it’s a murky, muddy color, you might want to get your engine checked out because it could signify deeper problems. Most spark plugs need replacing after 30,000 miles. Ignoring your vehicle’s spark plugs can lead to damage and cost you severely down the line by way of a total vehicle breakdown. Check your spark plugs to make sure they’re not worn out or covered in buildup, because that could mean your engine isn’t working the way it should. Follow your owner’s manual for recommendations on how often to check and replace them. Again, it varies with each vehicle, but you can always get them changed by a professional if you find that the job is too complicated for you. Your battery is what keeps your car running, so it’s important to make sure it’s always charged. The last thing you want is a dead battery when you go out to start it in the morning. Checking your battery periodically can help you avoid that kind of scenario. Checking your brakes is just important. Paying attention to how your brake pedal feels while you’re driving is key; you’ll be able to tell when you drive the car from how it feels to how it sounds. If something doesn’t sound or feel right, it probably isn’t and you know it’s time to see a mechanic. Getting your tires rotated and balanced can help make sure your tires wear evenly and help ensure they last longer. Consult your owner’s manual to find out how often your tires should be balanced and rotated. You should also get your alignment checked so that your vehicle drives smoothly. If you notice your steering wheel isn’t straight while you’re driving, you might want to consider having the alignment checked out. 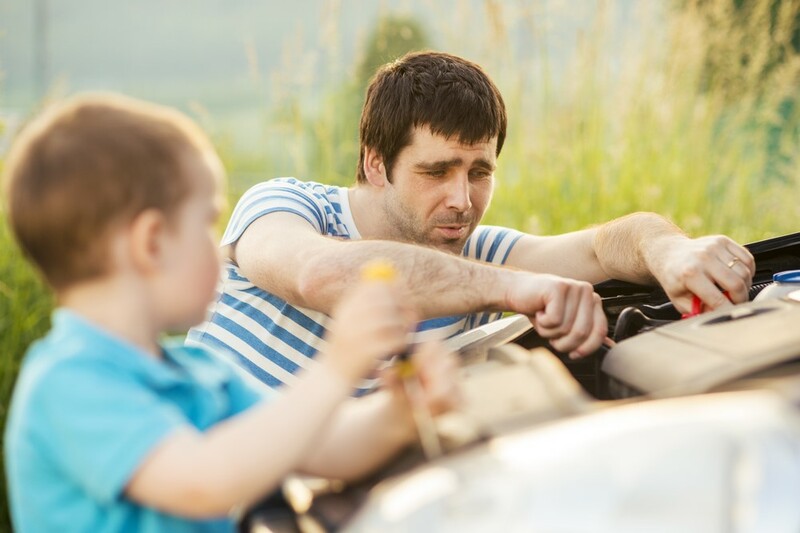 Keeping your car in good condition may seem like a chore, but with the right extended warranty provider, you’ll have less to worry about when it comes to your vehicle. Preventive maintenance can make all the difference in how your car drives and how long it lasts. You made the investment and it’s only fair to assume you want to take care of that investment. A comprehensive car service contract can help you protect your precious investment by keeping maintenance costs low and repairs to a minimum.